I absolutely loved mathematics when I was a kid. I loved manipulating numbers and equations, and I loved the challenge of completing complex problems involving logic and algebra. My teachers loved mathematics too (and I’m not just talking about my maths teachers). I was lucky enough to attend St. Richard Gwyn High School, Flint, North Wales. As a prestigious and caring community, every teacher collectively aimed to help each other. As a teacher myself many years later, all of this is clear to me now. Take, for example, my form tutor: she was an English Teacher but when I was a keen and boyish Year 7 student she would happily read through my mathematics homework which I proudly presented to her in morning registration on a weekly basis. “Great equations Richard, and well done for clearly showing what x is equal to. Not many students lay out their calculations so well like you have. Keep it up!”. That made a difference. It was a confidence booster for sure. I guess I’m somewhat of an anomaly compared with the majority of people. I’ve been a maths teacher in the past, and I’m currently a Science teacher. Two decades ago, when my mates would ask “When am I ever going to use this maths stuff in real life?” I can honestly give them a real answer – I use it every day in my job. Bottom line: numeracy really matters! GCSE mathematics scores have been disappointing for a number of years, and 2018 was no exception. Despite this ‘new and improved’ system, however, the percentage of students gaining at least one level 4 (equivalent to a grade C) has fallen slightly, and only 3.5% of students gained the top grade ‘9’ in mathematics. The June 2018 statistics for Edexcel are already out and they are revealing: 3.5% of all students globally achieved a level 9 in mathematics. 10.8% achieved a level 8. It’s rather telling that 3.5% of students sitting the UK GCSE, and 3.5% of students globally taking the IGCSE (Edexcel) achieved a grade 9 in mathematics. The top 5 countries for mathematics are all in Asia, with developing countries like China and Vietnam scoring way higher than the United Kingdom. This is a cause for concern. How can teachers increase numeracy? There are a number of strategies that we can implement. Using a variety of fabrics in a textiles class? Comparing high-value paintings with the genre of art on display? Comparing urbanization with habitat destruction? Get your students to quantify everything! This is so easy to do, but few schools encourage it properly. With just a simple piece of graph paper, students can analyse a variety of situations numerically. Make sure they calculate gradients too, and perhaps a standard deviation or two won’t go amiss! When children realise the truth that maths is everywhere, they then see the purpose of maths. Seeing the purpose, they tend to enjoy maths more and work harder at it. The time that students spend with their form tutor/homeroom teacher can be golden time for developing numeracy. Online programs like Ten QQ and MyMaths allow students to interface with technology and quickly learn numerical manipulation. With Ten QQ you simply show questions on the whiteboard with a time limit to complete each one. This can be easily and quickly peer-assessed at the end. It literally takes only ten minutes but can be very valuable for building up mathematical confidence, and for identifying weaknesses. Probabilities, time calculations and percentages come up everywhere. Make an effort to spend time on these calculations and show pupils how to do them properly. Find out what the maths department is teaching, and when they are teaching it! Try to link the school’s maths curriculum to your own, so that you are reinforcing the right concepts at the right time. Try your best to enjoy teaching numeracy, and this sense of enjoyment will rub of on your students. Encourage your students to see the world through ‘maths eyes’, and encourage them to quantify aspects of your subject. A frequency analysis of adjectives in a short story, or even a geometrical exploration of the map of Wales – the opportunities for seeing the world from a mathematical perspective are endless. The website http://www.haveyougotmathseyes.com/ is a great place to start when looking for ideas. Jennifer Wathall is probably the world’s premier guru when it comes to teaching your kids how to have ‘Maths Eyes’. This book should be a staple for all teachers, everywhere, in my humble opinion. With practical strategies that any teacher can use, ‘Teaching Numeracy’ is a very ‘hands-on’ book that any teacher will find helpful. Many school subjects require students to read and analyse paragraphs of text. Whether it’s a description of freeze-thaw action in geography, or a synopsis of the rise of crypto currencies in ICT or economics: blurbs, descriptions and essays confront our students with unique challenges. Sometimes our students don’t yet have the reading level to cope with the text. Sometimes they just simply get switched-off or disinterested, and this may or may not be related to their English language proficiency. Have you ever stopped reading a book, or a short article, because it just didn’t interest you enough? I know I have, many times. I can read but if I’m not interested, I’ll switch off. I had a great professional development session with a group of colleagues this week. 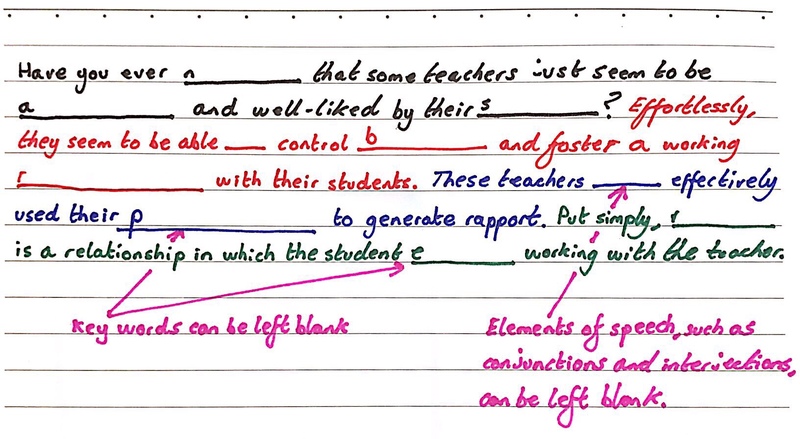 We came up with some great ways to differentiate texts, which I’ve included below. Study the images carefully: I’ve linked them to the text above. Get the kids to write true or false questions and give them to each other (recommended for high-ability students, as this one is a little more difficult to mark/assess and takes more time and effort to complete). This is a simple one and can be used to reinforce technical vocabulary, elements of speech (such as interjections and conjunctions) or anything else that’s important. The kids will need to be quite creative with this one, as they may need to illustrate the concepts using an actual example. Great fun, and can get quite entertaining! It’s been a busy Summer vacation for me. As a Chemistry teacher at an international school, I get a similar ‘Summer Holiday’ to my colleagues back in the U.K. – about 7 weeks from the end of June to mid-late August. However, I’ve not been resting that much as I’ve been involved in two excellent summer camps which have kept me productive and active. I now have another two days left before school starts, so I’m enjoying a short break in the seaside resort of Pattaya, Thailand (a short drive away from Bangkok). Me at Suriya Land, Pattaya, today. 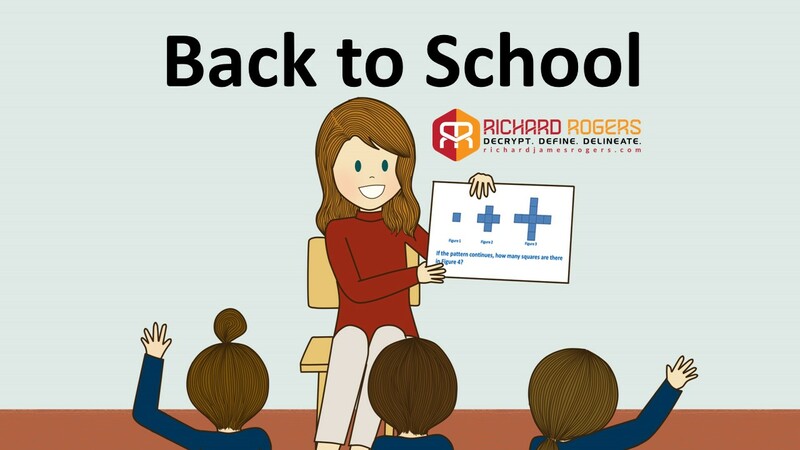 7 weeks is a long time to be away from school and if we are to be at our optimum when we meet our new students on day one, then we need to get physiologically, biochemically and mentally ready. I’m now going to go through my top 5 tips for starting the new academic year like a superhero! Over the past 12 years of my professional teaching career these tips have been absolute life-savers! I know they will work for you too, as they have done for the hundreds of teachers and trainees that I have counseled and mentored over the years. This can be difficult, especially if you’re a parent with small children. However, it is absolutely essential. Get enough sleep: I personally need 8 hours per night – any less and I find it hard to function! Implement a regular sleeping pattern: I don’t want my first Monday back to be a total shock to my body (that’s happened to me before and it was ugly!). From now until the day I start back at school, it’s bed at 10pm and up at 6am every day. A pattern like this allows our circadian rhythms to become balanced just in time for the first day – so that we’ll feel fresh and ready! Do recreational stuff: You know what you love to do. Do it! For me: I love to read in the countryside with a windy breeze in the background. I enjoy going to the gym and taking my time when I’m there. I enjoy karate. I love writing my blog at a sleepy little coffee shop somewhere in the back-of-beyond. Whatever it is that you love to do, give yourself the gift of doing it before you go back to school. This will help you to relax and will adjust your nervous system to a state of ‘positive awareness’. Eat properly: I don’t need to lecture anyone about this – we all know what we should be doing. I know, for example, that by having three-square meals per day, at around about the same time each day (followed with wide-spectrum multi-vitamins and mineral supplements), then by the process of bio-accumulation my body will be biochemically at its optimum before I launch into my teaching modality on day one. Tip #2: Know your curriculum! This process is called ‘curriculum mapping’ and it’s so important, especially if you’re starting at a new school or if you’re a newly-qualified teacher whose starting a new job. I know, for example, that I’ll be teaching a Year 12 and 13 IBDP Chemistry class this coming academic year. I know that Year 13 need to have covered Topic 17 (HL Equilibria) by the end of August, and Topics 8 and 18 (Acids and Bases) by the end of September. Year 12 need to have covered Topics 2 and 12 (Atomic Structure) and Topic 1 (Quantitative Chemistry) by the end of September. I need to know exactly what’s happening, in terms of my teaching and school events that could interrupt my normal schedule, for each and every month of the upcoming academic year. So get mapping – you know it makes sense! Here’s something I can guarantee – on day one of teaching, and the day before, many of your colleagues will be using the school’s photocopiers and printers to get their resources ready. If me and you want to start the academic year in a hassle-free, relaxed way, then we need to be a step-ahead of everyone else. Go into school a few days before you’re due to start and get your first week’s worth of worksheets, booklets and whatever else you need printed and ready. Trust me – you’ll be glad you did it! We all forget subject content, even the most highly-qualified and knowledgeable of us. Think about which questions from the textbook you’d like to set for your kids. Do these questions have model answers? If not, then you’ll be creating unnecessary work for yourself when you come to mark them. Will you set these questions as homework or classwork? Does the textbook contain any good graphics that you could scan/photograph and put into a Prezi, Google slides or PowerPoint? Whatever your situation is: starting at a new school or staying at your current school, you’re likely to have new colleagues, systems, resources and even policies that you’ll be working with. Don’t be in a rush to get to know everyone all at once. Take your time, relax and get to know people one at a time. See the new academic year as an opportunity to inspire, care-for and motivate your new students. With this mindset, you’re sure to start back at school like a superhero!